Breathalysers are expensive tech, so one company has seen fit to put alcohol monitoring technology onto your wrist instead. 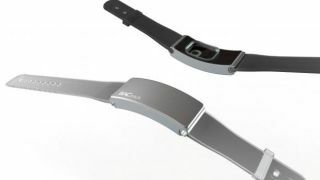 The wearable is called the BACtrack Skyn and uses the sweat on your skin to monitor blood alcohol levels. The technology will give the alcohol research community a new tool to keep track of drinking habits, whether it be for a legal or medical purpose. The technology – made by BACtrack – has won a government sponsored competition in the US called the National Institutes of Health Wearable Biosensor Challenge. Skyn took the top prize of US$200,000. Head of the NIH's National Institute on Alcohol Abuse and Alcoholism, Dr George Koob, said "It can help doctors accurately measure a patient's drinking history, and not just depend on the most recent tests. "This can help a lot with the treatment." Keith Nothacker, president of BACtrack, said, "The blood alcohol monitoring devices used in legal and medical circles are big and bulky, like a ball and chain for the ones using it. "We wanted to make something people would want to wear." The Skyn isn't ready to replace breathalyzer technology just yet as it can't offer up real-time blood alcohol levels. It will take 45 minutes of wearing the device on your wrist to get an accurate reading. But in the future this type of technology may soon be included a wearable band placed behind the bar at your favorite drinking establishment, rather than an expensive breathalyzer.